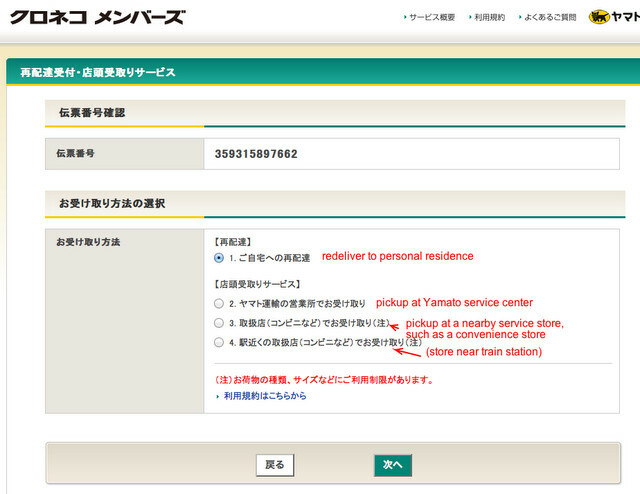 One of my first “how-to’s” on Surviving in Japan explained the online redelivery process for Japan Post. 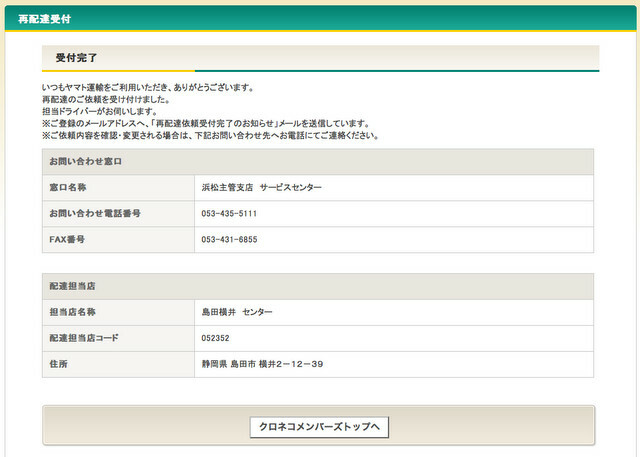 During my first month in Japan, my co-workers encouraged me to sign-up for online redelivery, eliminating the hassle on them to call and arrange it for me. Even though they smiled and reassured me they were willing to help out, something unspoken suggested that I should probably figure out how to do it myself. Not one to miss subtle hints, I sat down with my computer one evening for a fun self-teaching experience. The entire process took about an hour, what with copy/pasting every line of text into a translator or dictionary, and trying to translate the error messages so I knew what to change. Even after all that, I still failed, as the e-mail confirmation never came, and it wasn’t until the next day that I realized I was supposed to get a confirmation. Needless to say, the process was easier the second time around, and since then it feels no different than if I were doing it in English. Some people may consider a phone call easier, but I’ve always felt doing things online was much less of a hassle – and was surprised that other foreigners (that I knew at the time) didn’t seem to know about online redelivery. All I heard from veterans before going to Japan was that you needed to go pick things up from the office or call. Of course, if you want to, go for it, but online redelivery is a great alternative (especially if you can’t speak ANY Japanese). 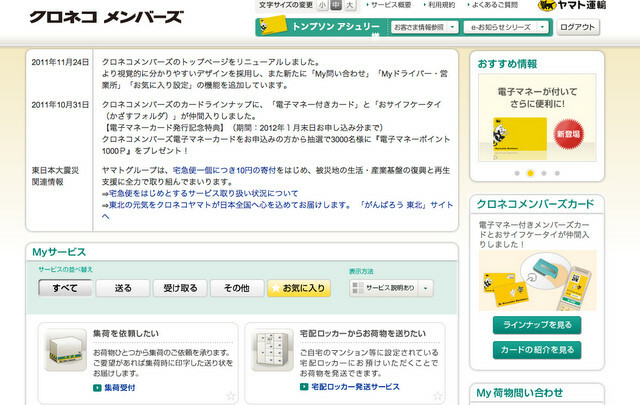 Update (April 24, 2012): You can now request a redelivery online or via phone in English. After creating an account, visit this page to login. 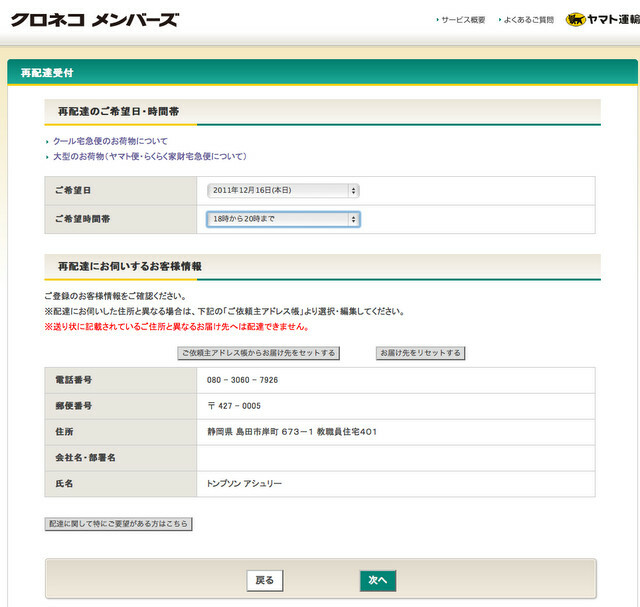 Enter your username (クロネコID) and password and click ログインする. The page that shows up after logging in lists various options, as pictured below. Scroll down until you get to redelivery (再配達). 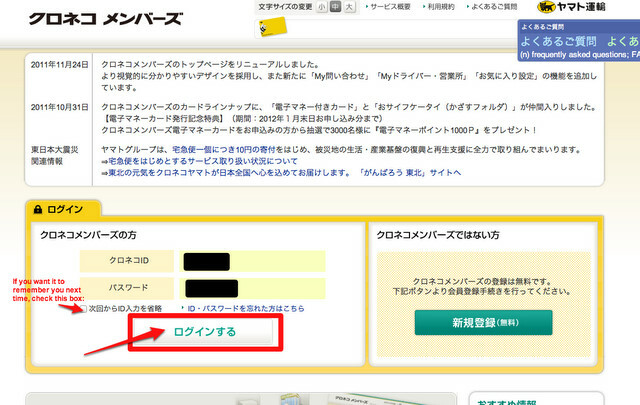 Enter the "voucher number" or tracking number and click 次へ (next). The tracking number will be written on the missed delivery slip, and you may possibly have it in an e-mail if you ordered something online. If you want to redeliver to your home, leave the first option checked. 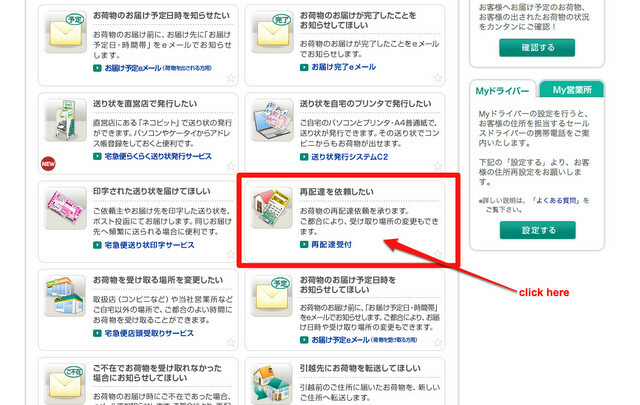 Otherwise choose one of the other options and click 次へ (next). The top two drop down menus are the desired day and time of redelivery. The days and times have numbers, so this is pretty self-explanatory. Leave blank if you don't have a preference. Review and check that your address information is correct (it should be the same address as the one you registered with). 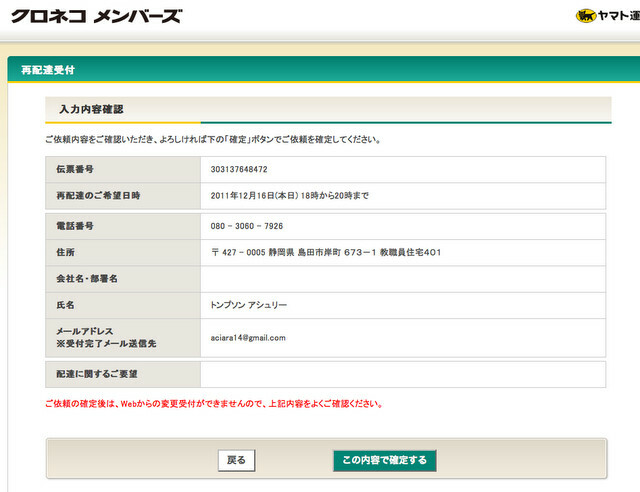 Review your information and click the green button on the right. The following page will show up after you've submitted your information, indicating where your package is and how to contact the place if necessary. You don't need to do anything further here, though, watch for an e-mail confirmation. If you do not receive one, you may need to go through the process again. You can also check if the redelivery request was successful by tracking your package – the updated status will show a redelivery request.